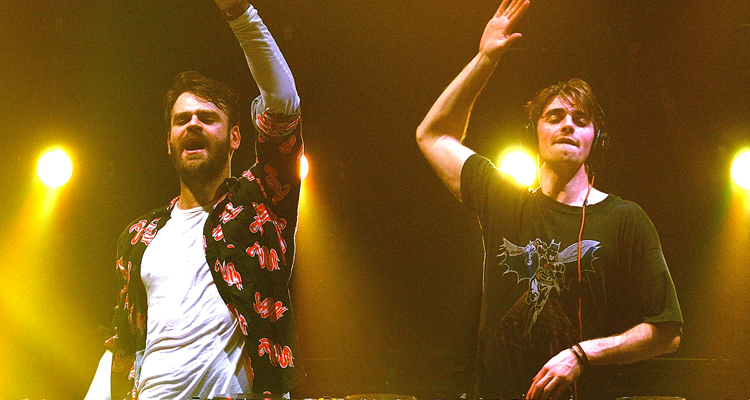 With Halloween just around the corner, it’s natural that The Chainsmokers and NGHTMRE would get a bit scary on their newest collaboration. “Save Yourself” features heavy bass and various dance-metal elements which help to conjure a wicked scene on the dance floor as well as in the official music video. Directed by LA’s ThatOneBlondKid, the clip features Drew Taggart on the prowl and looking for blood. He and his friends later wreak havoc on Hollywood. The “Save Yourself” video comes just days before The Chainsmokers’ next collab with country music artist Kelsea Ballerini. Check out the video for the Columbia Records-released “Save Yourself” below.